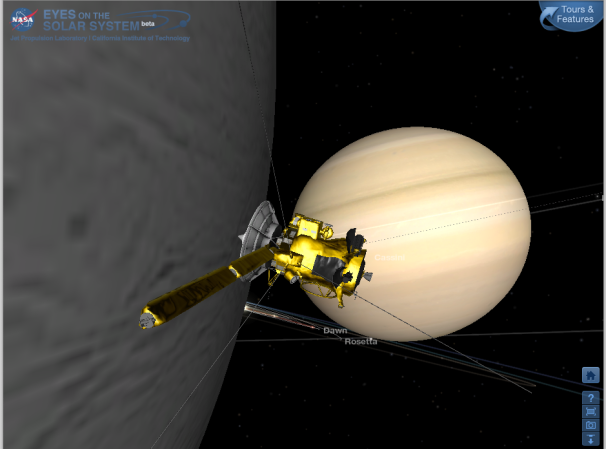 Eyes on the Solar System" is a 3-D environment full of real NASA mission data. Explore the cosmos from your computer. Hop on an asteroid. Fly with NASA's Voyager 2 spacecraft. See the entire solar system moving in real time. It's up to you. You control space and time. This application is prepared by Jet Propulsion Laboratory of Nasa.